The worst has happened: A second case of Ebola has been confirmed in the United States. According to the Texas Department of State Health Services, a health care worker at Texas Health Presbyterian Hospital, the same hospital were Ebola victim Thomas Eric Duncan was treated, has contracted the deadly disease. So far, the health care worker has tested positively for Ebola in a state public health lab in Austin, and the Centers for Disease Control and Prevention will conduct a second testing on Sunday. The New York Times reports the CDC may have the results as soon as Sunday evening. The Texas Health Department said in a statement on Sunday that the health care worker helped treat Duncan, who died at the Dallas area hospital on Oct. 8. The health care worker reportedly had a low-grade fever on Friday, and was promptly isolated. The results of the preliminary test weren't completed until late on Saturday. We knew a second case could be a reality, and we've been preparing for this possibility. We are broadening our team in Dallas and working with extreme diligence to prevent further spread. 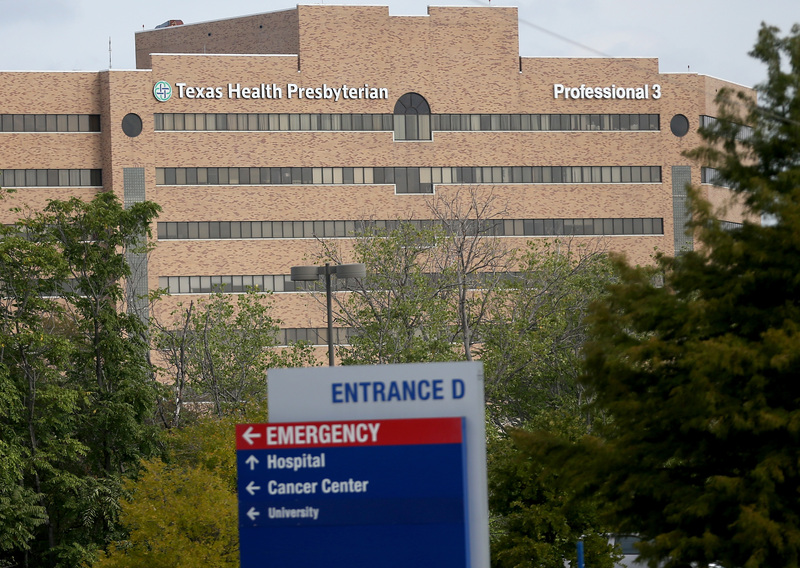 An official close to the situation identified the Ebola patient as a female nurse at Texas Health Presbyterian to CNN. Her name has not yet been released. Dallas County Judge Clay Jenkins called the health worker "heroic" during a Sunday morning news conference. He added that "contingency plans were put into place" in case of an U.S. Ebola outbreak, assuaging fears that the state is unprepared for more Ebola cases. According to the Texas Health Apartment, the patient has been interviewed in order to identify any persons that she came in contact with. State health officials added during Sunday's news conference that the patient's car and apartment complex has been decontaminated, and neighbors living within four blocks of the complex were alerted of the situation. The patient's apartment will be decontaminated on Sunday. Thomas Eric Duncan became the first person to be diagnosed with Ebola in the U.S. A Liberian national, Duncan contracted the disease while living in Monrovia, where he reportedly helped his dying neighbor to and from the Ebola treatment center. Duncan didn't become symptomatic until he was in the U.S., and went to the emergency room at Texas Health Presbyterian. Staff at the hospital initially sent him home even though he had an 103-degree fever, according to his family. Medical records obtained by The Associated Press reveal that Duncan did have a high fever, and it was also noted that he recently traveled from West Africa. Family spokesperson Saymendy Lloyd said on Friday: "If you went to hospital right now and your temperature was 103 degrees, no one would send you home."